On 18 June 2018, EASO organised the Launch of the EASO Annual Report on the Situation of Asylum in the EU+ 2017 in Brussels. 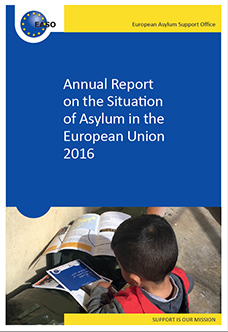 The EASO Annual Report on the Situation of Asylum in the European Union 2017 provides a comprehensive overview of developments at European level and at the level of national asylum systems. Based on a wide range of sources, the Report looks into main statistical trends and analyses changes in EU+ countries with regards to their legislation, policies, practices, as well as national case law. While the report focuses on key areas of the Common European Asylum System, it often makes necessary references to the broader migration and fundamental rights context. While the transposition of the recast asylum acquis package has been practically finalised, the new package to reform the Common European Asylum System remained under negotiations. The package was composed of proposals for strengthening the mandate of EASO by transforming it into the European Union Agency for Asylum; the reform of the Dublin system; amendments to the Eurodac system; proposals for the new Asylum Procedures Regulation and Qualification Regulation; and the revision of the Reception Conditions Directive. There were 728 470 applications for international protection in the EU+, representing a decrease of 44 % compared to 2016, but remaining at a higher level than prior to the refugee crisis, which started in 2015. The migratory pressure at the EU external borders remained high, but decreased for the second consecutive year, mostly at the eastern and central Mediterranean routes, whereas there was an unprecedented upsurge on the western Mediterranean route. In terms of pending cases, for the first time in several years, at the end of 2017 the stock of pending cases was reduced compared to the year before, while approximately 954 100 applications were awaiting a final decision in the EU+, 16 % fewer than at the same time in 2016. At the end of 2017, just half of all pending cases were awaiting a decision at first instance, whereas an increasing proportion was pending at second or higher instance, which is a new phenomenon. The number of cases awaiting decision at second and higher instance almost doubled since the end of 2016, pointing to the transfer of workload in national systems from the first instance to the appeal and review stage. The main developments in EU+ countries with regards to procedures at first instance mostly concerned measures taken toward the optimisation of processing of applications for international protection, as well as the reduction of processing times. Measures also included prioritisation and fast-track procedures. Commenting on the main findings, Jamil Addou, Executive Director of EASO a.i., highlighted: "EU Member States have worked towards enhancing the quality and efficiency of asylum procedures with the use of modern technology”. "We moved from a situation of chaos to an improved management of migration in the EU. 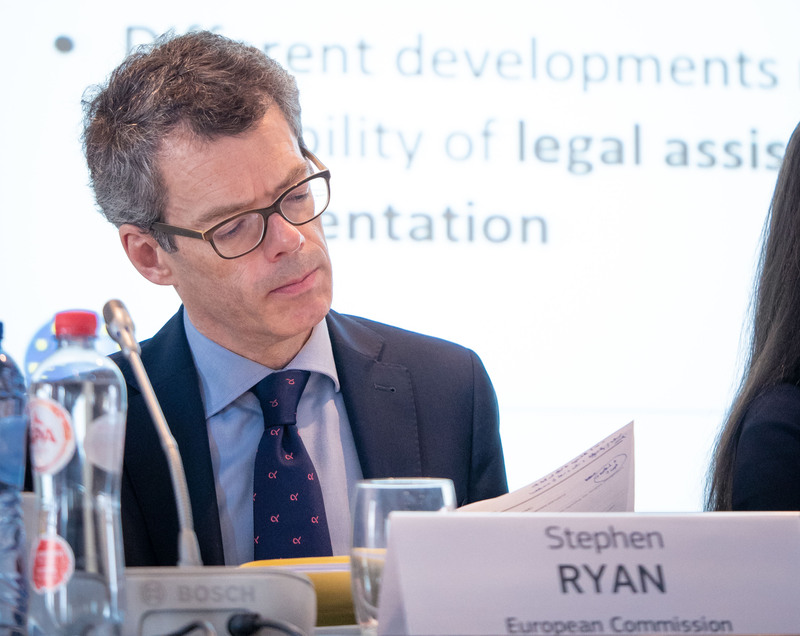 Almost all those eligible for the EU Relocation Programme were successfully relocated", stated the representative of the European Commission, Stephen Ryan. In the context of the event's EASO Information and Analysis activities, EASO launched an overview on key performance indicators for international protection. 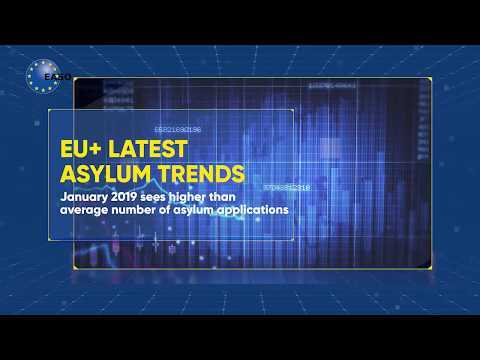 Click to see data visualisation and the latest asylum trends data for 2018. 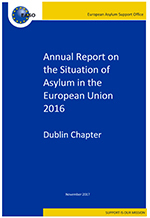 This year the launch of the Annual Report was followed by a discussion on national perspectives with regards to the management of asylum processes. The discussion provided insights on the context of measures taken by EU+ countries to process asylum applications in a fair and efficient manner. Contributions to the Annual Report were also specifically sought from civil society, with an open call for input from the EASO Executive Director to the members of the EASO Consultative Forum and other civil society stakeholders, inviting them to provide information on their work relevant for the functioning of the CEAS. After the launch event, representatives of civil society organisations discussed further ways to provide information to asylum seekers. EASO will continue its work within its mandate, as it may be strengthened to respond to current needs, while delivering on its core tasks in all areas, including: operational support, capacity building and training, facilitating practical cooperation among EU+ countries, collecting and analysing qualitative and quantitative information and information on countries of origin, and external dimension.